Extremely Loud and Incredibly Close by Jonathan Safran Foer was one of the most interesting books I have ever read. In this case, to some, interesting may not equate to good, but for me, an interesting book that can keep my attention is one that I qualify as a good book. Written partly from the point of view of the eccentric, complex, and depressed nine-year-old character Oskar Schell, Extremely Loud and Incredibly Close takes you on the journey to find the lock to a mysterious key, Oskar’s last connection to his father (who died in the September 11th terrorist attacks). With a mixture of humor and solemnity, of happiness and sadness, of confusion and clarity, Extremely Loud and Incredibly Close is like no other book. 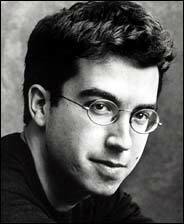 Although at first I found the jumbled, cramped, and scattered style of writing to be extremely hard to follow, including the fact that no spacing was used for dialogue, as the book progressed I became used to this unique and honest style with which Jonathan Safran Foer wrote. I found the parts of the book written from Oskar’s perspective very entertaining and very captivating. Often times the chapters from Oskar’s point of view were funny and relatable, but other times I found them to be extremely heavy and raw. This contrast and mixture of feelings was one of the things I liked most about this book. I must caution though that the other chapters of this book, written not from the perspective of Oskar, proved to be a bit confusing, very depressing, and at first not all that relevant. Several chapters in this book are in the forms of letters, always addressed to “my unborn child.” These portions of the book were very confusing at first, but if you keep reading, it all makes sense in the end. That was another thing I liked about the book. These somber, interesting, and confusing letters gave the book some serious originality, as did the pictures, diagrams, and writing scattered throughout the 326 pages. Overall, I would recommend this book. By no means was it my favorite book, but after reading it I felt like the time I had invested in it was well spent, and that’s all you can really ask for from a book. Extremely Loud and Incredibly Close was an interesting, thought-provoking, and original book, and I really enjoyed the experience of reading it. Oskar Schell was a greatly developed character, of whom I could not get enough, and the book as a whole was refreshing. So if in need of something to read, this book would be a good one to pick.